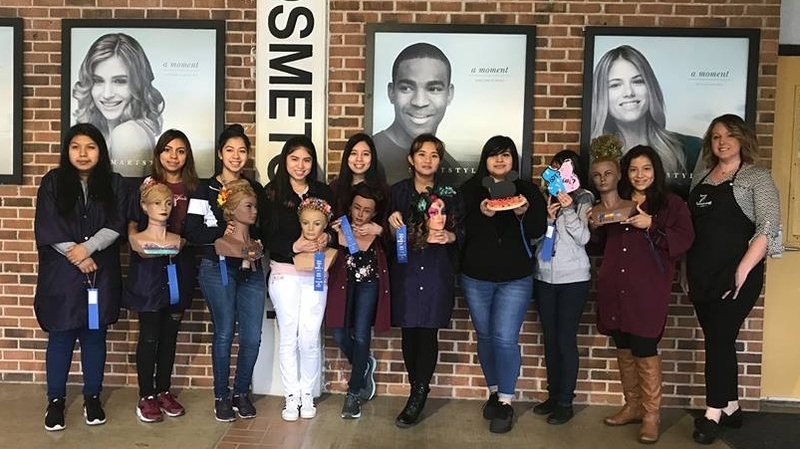 On Friday 2/2, cosmetology students entered 19 exhibits in Skills USA in Waco. Please be sure to congratulate the 9 that advanced to State. In order from left to right: Marbellla Victoriano Quiroz, Rosio Victoriano Bautista, Dennise Mora, Silvia Martinez, Guadalupe Rivera, Kim Dang, Gissel Hernadandez, Jasmin Romero, and Dulce Sanchez.